Casino bonuses are part-and-parcel of the online gaming experience. Online casinos offer them so that people will flock to them. There are a lot of bonus types out there, and a lot of casinos are generous with their promotions. FortuneJack has always offered some of the best bonuses in the industry, and this casino continues with its streak of generosity by offering a set of new deposit bonuses for new members. FortuneJack has unveiled the latest bonus deals newly signed-up players can make the most out of. The first is the Deposit 777 that offers a bonus of as much as 1 BTC, and the other is the 100% Deposit Bonus that rewards up to 500 mBTC. 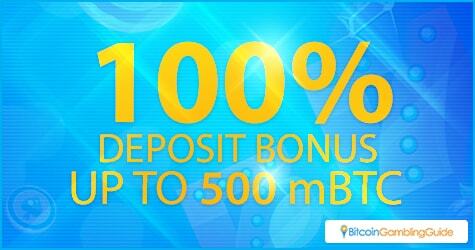 The new 100-percent Deposit Bonus instantly doubles the initial deposit and sets the limit to a maximum of 0.5 BTC. 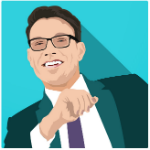 This offer stands for players who make a deposit of at least 0.001 BTC. Moreover, first-time depositors have the option to enjoy the other welcome bonus that guarantees a bonus of up to 1 BTC. When they deposit at least 777 mBTC, they qualify to receive a 130-percent bonus that instantly boosts the minimum deposit to 1,777 mBTC. These two newest welcome bonus deals are open to everyone who is yet to place his initial deposit on FortuneJack. Other than these two deposit bonuses, registered players can also get their hands on other FortuneJack first deposit bonus offers. Additionally, this casino features its 100-percent Monthly Deposit Bonus that rewards a bonus of up to 1 BTC upon the players’ initial deposit. 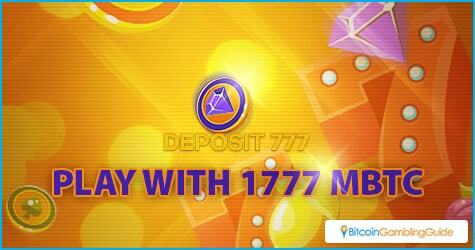 This much offer stands to new players who will place a minimum deposit of 0.001 BTC. FortuneJack continues to impress the online gaming community through its never-ending dedication to provide the best bonuses, rewards, and payouts. In fact, this casino has already paid out a total of 324 BTC of jackpots over time. On top of this, numerous avid players have earned their fair share of over 417 BTC through the casino’s loyalty program. Further making the betting experience in this casino are the other FortuneJack bonuses and promotions. Before launching the newest welcome bonus deals, FortuneJack has already been offering weekly promotions. Moreover, the Jack’s Favorite promo, which was featured beginning in March this year, grants players with rewards when they place at least a 0.2 BTC bet on select games in this casino. Ten free spins worth 0.005 BTC in total, a 0.3 BTC bonus, and one Premium Room Bingo ticket are the prizes up for grabs through this promotion. Meanwhile, FortuneJack’s affiliate program is another excellent source of profits, especially with more than 305 BTC already transferred to accounts of the respective affiliates of this cryptocurrency casino.